For an organization to succeed, leadership is needed. A salient characteristic of leadership is strategic thinking. So if you’re ambitious, the ability to be a strategic planner is critical for your success. Keep in mind that true leaders aren’t arrogant or complacent. They know arrogance is really a sign of ignorance, and makes strategic planning an impossible dream. It means you must see the big picture. In other words, you must be able to take a long-term approach in anticipating and solving problems with objective analysis and making decisions regarding customers, employees, finance, operations, and vendors. Leaders are innovators. They look ahead. They don’t waste time daily just reacting and putting out fires. 1. Elevate your thinking by gathering information. Read, read, read. Become a thought leader by studying relevant information affecting your sector, company, customers, workers and technology. Don’t overlook finance. Strategic thinkers know how to prevent companies from falling into the zero-sum game trap. They focus on business profit and the four profit drivers. A strong mentor will pay big dividends. Find someone known for strategic thinking — a person who is successful in ways you want as a role model. The best mentor will keep you on target — focused on strategic thinking — and to anticipate the results of your actions. Here’s more on the mentoring process. When it comes to strategies in your company, think like a premier journalist — ask who, what, when, where, why and how. Query your mentor. Ask questions of your boss. Always strive to know the impacts on all stakeholders, including customers, employees and suppliers. 4. Learn what’s needed for your company’s growth. You need to understand your organization’s situation and your marketplace. Next, plan how you will contribute, and act accordingly. 5. Continually work to anticipate problems. Anticipate quandaries and identify solutions. For every problem, there are multiple solutions. The trick is to identify the best solutions that provide the best long-term benefits for the overall welfare of your company. Don’t forget to reward yourself. A series of rewards will generate confidence leading to more success. 10 Key Differences between Leaders and Managers — Published reports in Google News are an eye-opener. If you Google “leadership crisis,” you’ll get at least 9,000 search results for business and the public sector. 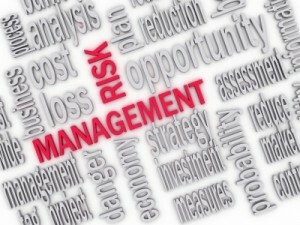 If you enter the key words, “management crisis,” you’ll see twice the results. Art of Persuasion — Marketing Ideas to Your CEO Boss — If you’re a human-resources or marketing professional seeking to be a partner in the C-suite, it’s vital to communicate effectively with senior executives. To market your ideas to senior management, here are the four keys in best practices. From a management perspective at the board level, Yahoo is making the right moves with CEO Marissa Mayer. 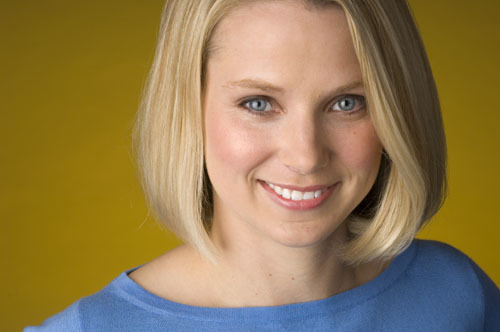 Ms. Mayer has already made the bold move to eliminate telecommuting perks for 11,000 employees. She was forced to ban telecommuting when she discovered many employees weren’t working at home as they were paid to do. It’s hoped the employees will begin to collaborate on new ideas. Ms. Mayer’s telecommuting ban is a positive model for struggling companies. Ms. Mayer didn’t have chief executive experience, but it’s been hoped she can resurrect the company with instincts she developed at Google. Chairman Roy Bostock, the chair for four years, and three long-serving board members are gone. This follows the resignation of co-founder Jerry Yang. Yahoo’s CEO, former PayPal executive Scott Thompson, left after the negative publicity over the phony credential on his resume. You might recall Yahoo missed a chance to sell to Microsoft for $47.5 billion in May 2008. Do the math. This would have meant $33 per share — far above its recent share history. Other negative headlines: The public catfight between deposed Yahoo CEO Carol Bartz and the board. 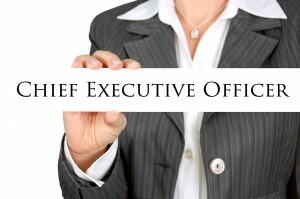 After her termination, she refused to resign from the board. Certainly, published reports show Ms. Bartz failed to demonstrate quality leadership in terms of the company’s performance and her personal style of communication. Thirty-two months of valuable time was lost during her tenure. That’s a big sales-opportunity cost. Despite whatever skills Ms. Bartz seemed to possess to get the top job after previously working at Sun Microsystems and Autodesk, they weren’t apparent in her nearly three years at Yahoo. True, she successfully addressed financial and organizational issues. But she didn’t seem to show an adequate grasp of the big picture – to understand the company, its marketplace challenges and solutions. The company’s heritage advertising platform has been backsliding. Too, I have to wonder if the vaunted Yahoo Finance platform has suffered in reputation. It’s been a favorite for those who want to check stock prices. But, of course, Yahoo was sliding before she took the reins. Yahoo was once the No. 1 search engine, but since the 1990s it failed to stem the rising tide from competitors Google and Facebook. The board ostensibly didn’t understand the link between financial performance and succession planning. Yahoo has seemed to be standing still. It hasn’t evolved, or re-engineered its focus like all companies must do. It needs to look fresh and innovative with compelling products and services. In other words, it needs a strategic vision from strong management. From the Coach’s Corner, here are management strategies for a successful turnaround.